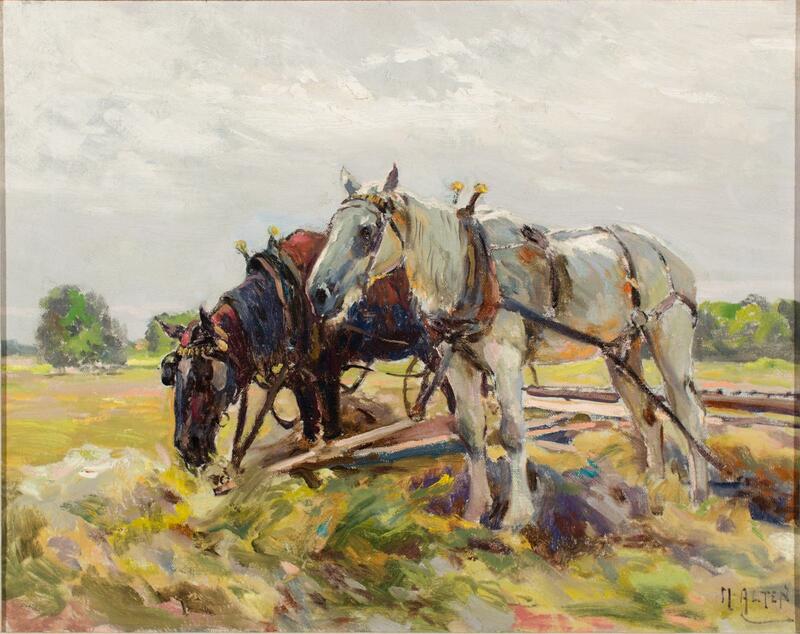 Draft horses within a field were a favorite subject of Alten's, but as with many of his later paintings, there is a heightened attention to color and light. Two harnessed draft horses standing in a field. The black one is bending down to eat. The gray one is standing normally.